Come along for great company, and a sumptuous dinner as well as interesting words from our guest speaker, June Brown. 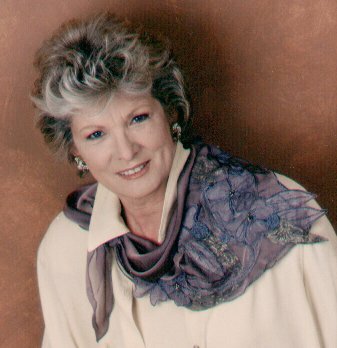 June is a member of the ZIG ZAG group of textile artists and the group's tripARTite exhibition will be a highlight of the Sydney Quilt Show 2007. Artist journals from this exhibit will be available for review at the Gala Dinner and you'll also be able to view up close the 13 winning quilts from the Guild's 2008 calendar challenge. Bookings with payment must received by Friday 15 June 2007 at the Guild office. Talented machine quilter and Guild accredited teacher, Deborah Louie, is the presenter of the Friday Showcase this Friday, 1 June 2007 (10am at the Guild office). 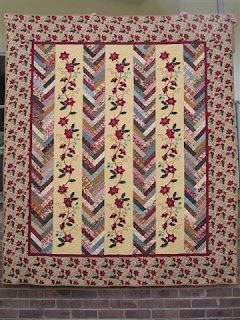 Deborah was awarded the Home Domestic Machine Quilting prizes at Quilt Show 2005 and Quilt Show 2006. Look out for her entry in 2007! There will be a wonderful range of quilts – some for sale – some treasures for display only. A wide range of craft associated items, including patchwork, embroidery & much more will be for sale. A Patchwork Quilt will be raffled. The quilting ladies will be demonstrating their skills each day. In just over a month, the Sydney Quilt Show will be in full swing. That means NOW would be a really good time to finish your quilt entry, and I mean really finish it. All quilts more than 120cm wide must be submitted with a 6cm rod pocket/sleeve to facilitate hanging. All quilts less than 120cm wide require velcro strips top and bottom. Also, to prevent damage, it is essential that the velcro is "sealed" when you post or deliver your quilt. Check the instructions for exhibitors included in your acceptance letter for more details. Guild member, Maggie, has posted a tutorial on her blog showing how to make a velcro casing strip so that you can easily remove the velcro after the show if you wish. This technique has the added bonus of keeping the hook and smooth velcro strips together with the quilt so nothing goes astray in the hanging process. Remember, failure to comply with the quilt show hanging instructions may result in your quilt not being displayed as the organisers do not have time to sew on sleeves and velcro for you! The block is 12 1/2in unfinished. Bring your blocks to the Burwood meeting on 16 June or post them to reach the Guild office by 12 June. Since making her first quilt in 2000, patchwork, quilting and textiles have developed into a compelling avocation for Brenda. She delights in colour, experimentation and making her own contemporary designs. 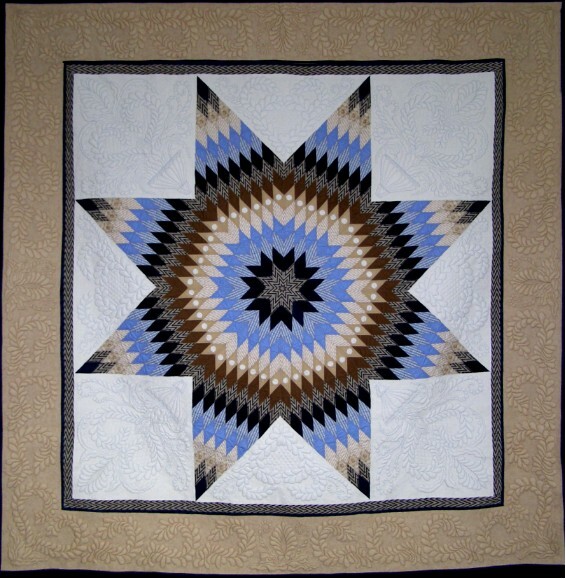 The quilts on display will include baby quilts, wall hangings and larger bed quilts. Brenda will also discuss some of her favourite patchwork and quilting books - a wonderful source of inspiration! The spectacular Art to Wear exhibition is always a popular feature of the Sydney Quilt Show. Each year about 22 garments are selected from those submitted by Guild members. To be selected the garment should be an original design and concept, demonstrate craftsmanship and skill, with finish and presentation being of great importance. The very best of textile artists participate in this exhibition. It is also an opportunity for students and novices to participate. To celebrate the Quilters Guild 25th Birthday, and to acknowledge the textile art and instigator of the Wearable Art Exhibition, Trudy Billingsley is this year’s feature artist. Trudy has been a practising artist for 28 years, exhibited in solo and group exhibitions in Australia, Canada, Japan, Germany, Spain and New Zealand. Her work is included in the Powerhouse Museum collection. Come to the Sydney Quilt Show in June to see some more of Trudy's textile art. In coming weeks, further details about these positions will be posted on this blog and in the Guild newsletter. Being on committee is a fabulous opportunity to join an enthusiastic team that is passionate about quiltmaking and promoting events and services available to Guild members. Please contact President Lorraine if you would like more information. The Sydney Quilt Study Group currently manages The Quilt Study Group of Australia.The QSGA exists to promote interest and research into quilting in Australia. Members are committed to the study of quilts, both past and present. This study also encompasses the social and historic context in which the quilts are made. Further the group is committed to the recognition of contemporary quilt making, acknowledging its role in Australia's continuing heritage of quilts and quilt making. The committee organises meetings and activities for Members in accordance with these aims. Quilt show acceptance letters were dispatched today together with special edition, 25th anniversary exhibitor ribbons for all individual entrants. Please contact the Exhibition Secretary if you do not receive your notification by 7 May. The office ladies are currently preparing the volunteer roster for Quilt Show 2007. 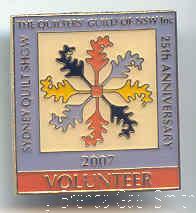 Every volunteer will receive a specially minted Quilt Show 2007 badge and we will have a daily prize draw for volunteers. If you have entered a quilt we would hope that you could give up to 4 hours of your time to help during the period of the show. If you have not entered a quilt, we would still appreciate your help so we may present The Quilters' Guild of NSW Inc. in the best possible way and ensure that the show runs smoothly. If you have not already done so, please complete and return your Volunteer Form as soon as possible.